During a recent New England January thaw, we set out to explore and found ourselves at Roger Williams Zoo in Providence, Rhode Island. What impressed us most about this zoo was the incorporation of the native land. The zoo itself was home to some pretty impressive animal species. We were able to observe unique wildlife from New Guinea, Indonesia, Australia and Africa. The elephants and giraffes were inside due to the weather however it gave us a unique opportunity to view them up close. It was also uncrowded so you could ask questions and really get to know these magnificent creatures. The Marco Polo's Wild Journey was an adventure, we were able to view animals that he may have encountered during his travels. 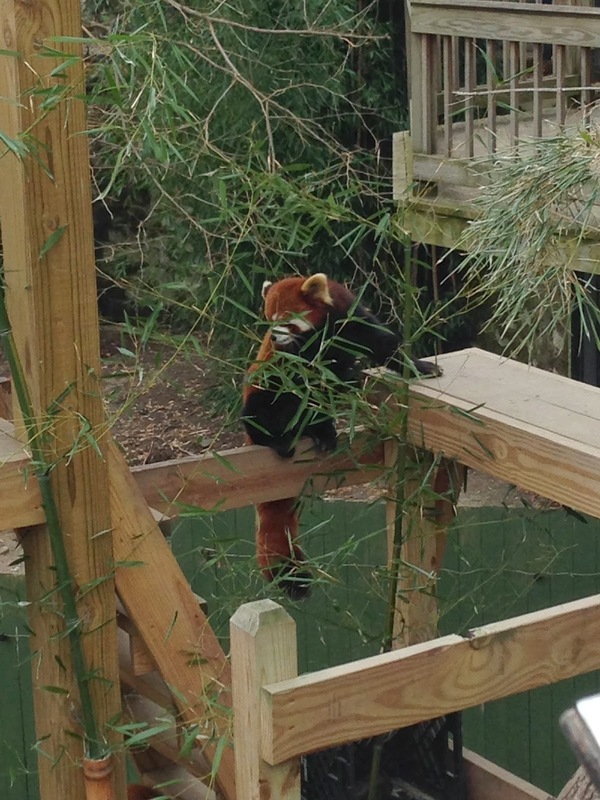 The red pandas were adorable. It is interesting to note that these animals are found in extreme environments and have extreme adaptations, seeing these wonderful creatures up close provided a unique window into what it may have been like taking a journey in Marco Polo's footsteps. 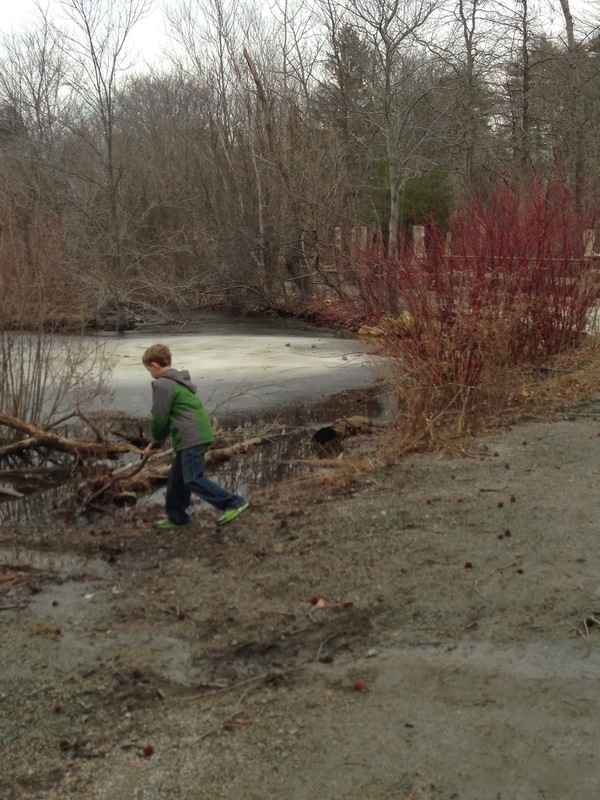 We walked on a 1/4 mile path through what was described as Rhode Island's most endangered habitat, the wetlands. It was an awesome experience, seeing it in winter and taking pictures we plan to compare it when we return in Spring, Summer and Fall. We were able to see Canada geese and vibrant native plants like dogwood and birch which always make an impressive New England backdrop especially in winter. If you are planning a trip to this zoo during the colder months, you will be happy to find Tropical America, the zoo boasts it is home to Rhode Island's only rainforest. Once inside you are arms reach to tamarins, white-faced saki monkeys and dozens of other amazing creatures. The monkeys are free roaming and entertaining to say the least. Outside we were captivated by the flamingoes and giant anteaters. One of the most impressive exhibits that I found at this zoo was in the North America section. 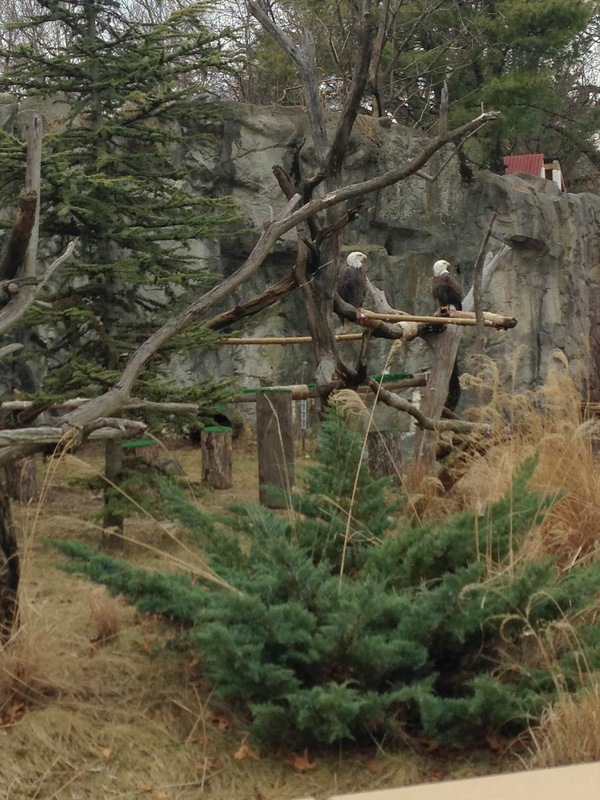 Sitting on a perch were two majestic bald eagles. I was amazed how beautiful they were in their natural habitat, not behind bars out in the open. A must see. Always in search of a nature themed playground, we were delighted to find "Hasbro's Our Big Backyard." Complete with a fascinating tree house, an indoor activity space which includes a Nature Swap. The nature swap is a place where you can trade items collected in nature. 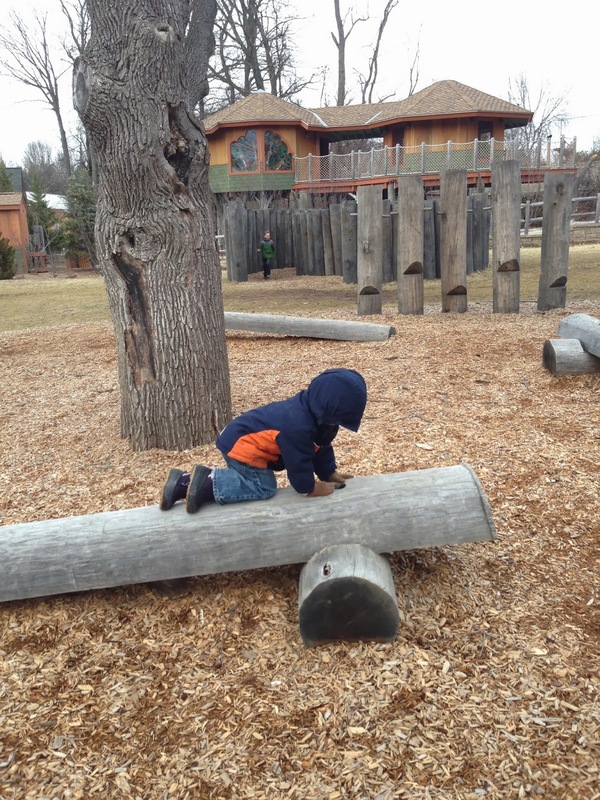 The nature trail and natural playground was fun for all ages to explore. There were lots of opportunities to be creative and enjoy the natural environment. January and February admission is half-priced. In the spring of 2014, a barn and farmyard section will be opened. October - November is the zoo's famed Jack-O-Lantern Spectacular, perfect to get you in the mood for Halloween. Looking to get involved? The zoo is currently sponsoring a FrogWatch. They are looking for volunteer age 7 and up to participate. https://www.rwpzoo.org/176/frogwatch.